Infinite is the trade name for a variety of green or grey-green Serpentine from South Africa, a magnesium silicate mineral. It’s crystal system is monoclinic. 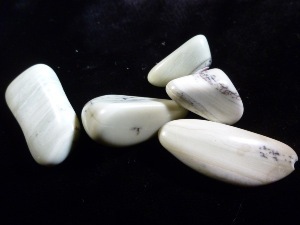 Infinite has attracted attention among metaphysical stone collectors, because it’s energies are believed to be superior to those of other Serpentines. Infinite is said to help one feel more self-confident and less invested in receiving external praise or appreciation. Infinite is called a stone of independence. It may engender a sense of being protected, stimulating one to move into new realms and social circles without hesitancy or fear. Physically infinite is said to ideal for those subjected to electromagnetic or energetic pollution. It may insulate the aura, protecting the delicate energies structures of the DNA and cells. It supports healing by aligning one’s energy field with the Earth, which can invigorate the body.